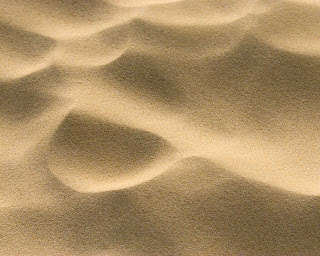 "The total number of stars in the Universe is larger than all the grains of sand on all the beaches of the planet Earth"
If we just use our beach volume, that gives a total number of grains of sand as \~1*10^20, which is large, but not as large as what we found above. Is that less than the number of stars in in the universe? Well, that's a question for another day (or google), but the answer is, to our best estimate/count, yes.